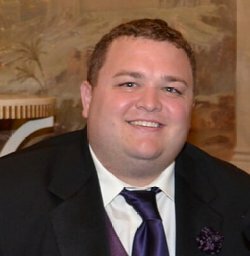 AN INTERVIEW WITH LINCOLN COLE! Living a quiet life surrounded by family and friends. I can be very withdrawn and unsure of my decisions. I don’t like to step up. Meanness. I don’t like people who mistreat others. Depressed after losing my sister. She and I were very close, and it’s been hard moving on. Athleticism. Playing a sport doesn’t make a person a hero. I don’t like to lie, and I’m not good at it. I haven’t fallen in love yet, so I’m still waiting. I would love to be able to speak more languages. Right now, I only know two. I would be better at picking something and sticking with it. Doctors work really hard to protect and help people, so I think that’s my answer. I didn’t realize my sister was so sick, and I didn’t spend enough time with her before she passed. I miss her. I’d rather not die, if possible. Pay it forward and good things will come. This entry was posted in 4WillsBlogTour and tagged 4WillsPublishing, AN INTERVIEW, LINCOLN COLE, Raven's Peak. Bookmark the permalink. 13 Responses to AN INTERVIEW WITH LINCOLN COLE! Fascinating interview, Lincoln. Truly sorry to hear you’ve lost your sister. I lost my little brother four years ago and I still miss him every day. Thanks for hosting, Shirley! You are amazing. Thanks for sharing Lincoln – we get so busy it’s important to never forget to hug those we love. Thanks for sharing with us, Lincoln. It’s nice to learn more about you with every stop along your tour. My deepest condolences for the loss of your sister. Interesting and enlightening responses! You may not have been an author for long but you are certainly prolific! Lincoln, your openness in this blog post was a delight to read. I think many of us feel the way that you do about things. Shirley, thanks for hosting Lincoln today. It’s always a pleasure to visit your blog. Rhani, you know I always love it when you visit. Thank you so much for supporting Cole and my blog. Lincoln, your honesty and forthrightness is refreshing. We are always stronger than we think we are. Sorry about the passing of your sister. Good questions, Shirley. I had to stop and think about how I would answer them. Hello everyone. Just make yourselves at home and keep on sharing this blog in support of Lincoln Cole. It is my pleasure to host you Lincoln. Lincoln, thank you for sharing so honestly! 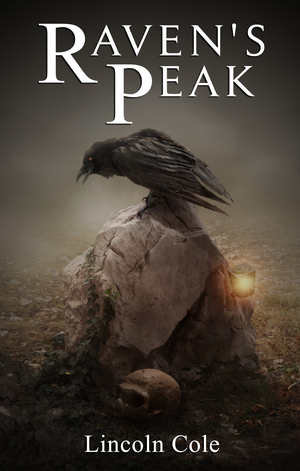 I look forward to reading Raven’s Peak. I like your philosophy of life, most of it. With such outlook on life, you will have peace. 🙂 Sorry about you sister. She’s now in a better place. Be happy for her, for now all her pain is gone. Thank you Shirley for hosting him. Lincoln, this is an incredible interview. Thank you for sharing so deeply–I feel as though I know you and look forward to reading your book. Thank you Shirley for hosting.